Today Snapchat finally gets a true developer platform, confirming TechCrunch’s scoop from last month about Snap Kit. This set of APIs lets other apps piggyback on Snap’s login for signup, build Bitmoji avatars into their keyboards, display public Our Stories and Snap Map content, and generate branded stickers with referral links users can share back inside Snapchat. Snap Kit’s big selling point is privacy — a differentiator from Facebook. It doesn’t even let you share your social graph with apps to prevent a Cambridge Analytica-style scandal. Launch partners include Tinder bringing Bitmojis to your chats with matches, Patreon letting fans watch creators’ Stories from within its app, and Postmates offering order ETA stickers you can share in Snapchat that open the restaurant’s page in the delivery app. Developers that want to join the platform can sign up here. Snap Kit could help the stumbling public company colonize the mobile app ecosystem with its buttons and content, which could inspire Snapchat signups from new users and reengagement from old ones. “Growth is one of our three goals for 2018, so we absolutely hope it can contribute to that, and continue to strengthen engagement, which has always been a key metric for us” Snap’s VP of product Jacob Andrea tells me. That’s critical since Snapchat sunk to its lowest user growth rate ever last quarter under the weight of competition from Instagram and WhatsApp. This focus on privacy manifests as a limit of 90 days of inactivity before your connection with an app is severed. And the login features only requires you bring along your changeable Snapchat display name, and optionally, your Bitmoji. Snap Kit apps can’t even ask for your email, phone number, location, who you follow, or who you’re friends with. “It really became challenging for us to see our users then use other products throughout their day and have to lower their expectations. . . having to be ok with the fact that all of their information and data would be shared” Andreou gripes. This messaging is a stark turnaround from four years ago when it took 10 days for CEO Evan Spiegel to apologize for security laziness causing the leak of 4 million users’ phone numbers. But now with Facebook as everyone’s favorite privacy punching bag, Snapchat is seizing the PR opportunity. Yet judging by Facebook’s continued growth and recovered share price, privacy is too abstract of a concept for many people to grasp. Snap Kit will have to win on the merits of what it brings other apps, and the strength of its partnerships team. Done right, Snapchat could gain an army of allies to battle the blue menace. Snap’s desire to maintain an iron grip on its ‘cool’ brand has kept its work with developers minimal until now. Its first accidental brush with a developer platform was actually a massive security hazard. Third-party apps promising a way to secretly screenshot messages asked users to login with their Snapchat usernames and passwords, then proceeded to get hacked, exposing some users’ risqué photos. Snap later cut off an innocent music video app called Mindie for finding a way to share to users’ Stories. Last year I wrote how A year ago I wrote that “Snap’s anti-developer attitude is an augmented liability”, as it’d need help to populate the physical world with AR. Login Kit is the foundation of Snap Kit. It’s a OAuth-style alternative to Facebook Login that lets users skip creating a proprietary username and password by instead using their Snapchat credential. But all the app gets is their changeable, pseudonym-allowed Snapchat display name, and optionally, their Bitmoji avatar to use as a profile pic if the user approves. Getting that login button in lots of apps could remind people Snapchat exists, and turn it into a fundamental identity utility people will be loathe to abandon. Creative Kit is how apps will get a chance to create stickers and filters for use back in the Snapchat camera. Similar to April’s F8 launch of the abilitu to share from other apps to Instagram and Facebook Stories, developers can turn content like high scores, workout stats and more into stickers that users can overlay on their Snaps to drive awareness of the source app. Developers can also set a deep link where those stickers send people to generate referral traffic, which could be appealing to those looking to tap Snap’s 191 million teens. Bitmoji Kit lets developers integrate Snapchat’s personalized avatars directly into their app’s keyboard. It’s an easy way to make chat more visually expressive without having to reinvent the wheel. This follows the expansion of Friendmoji that feature avatars of you and a pal rolling out to the iOS keyboard. But Bitmoji Kit means developers do the integration work instead of having to rely on users installing anything extra. Story Kit allows developers to embed Snapchat Stories into their apps and websites. Beyond specific Stories, apps can also search through public Stories submitted to Our Story or Snap Map by location, time, or captions. That way, a journalism app could surface first-hand reports from the scene of breaking news or a meme app could pull in puppy Snaps. Snap will add extra reminders to the Our Story submission process to ensure users know their Stories could appear outside of Snapchat’s own app. One thing that’s not in Snap Kit, at least yet, is the ability to embed Snapchat’s whole software camera into other apps which TechCrunch erroneously reported. Our sources mistakenly confused Creative Kit’s ability to generate stickers as opposed a way to share whole stories, which Andreou called “an interesting first step” for making Snapchat the broadcast channel for other apps. Snap needs all the help it can get right now. If other apps are willing to be a billboard for it in exchange for some of its teen-approved functionality, Snapchat could find new growth channels amidst stiff competition. 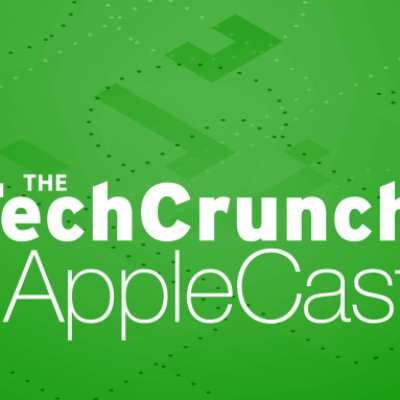 TC AppleCast 11: If You Had To Choose Just One – Apple Hardware Or Apple Software? Is Facebook’s Campbell Brown a Force to Be Reckoned With? Or Is She Fake News?